Reading comprehension can sometimes be a challenge for students with attention deficit hyperactivity disorder (ADHD). In order to grasp reading material, a student must be able to recognize and decode words as well as sustain attention and effort. Reading comprehension requires the ability to effectively use working memory and process information in an efficient and timely manner. 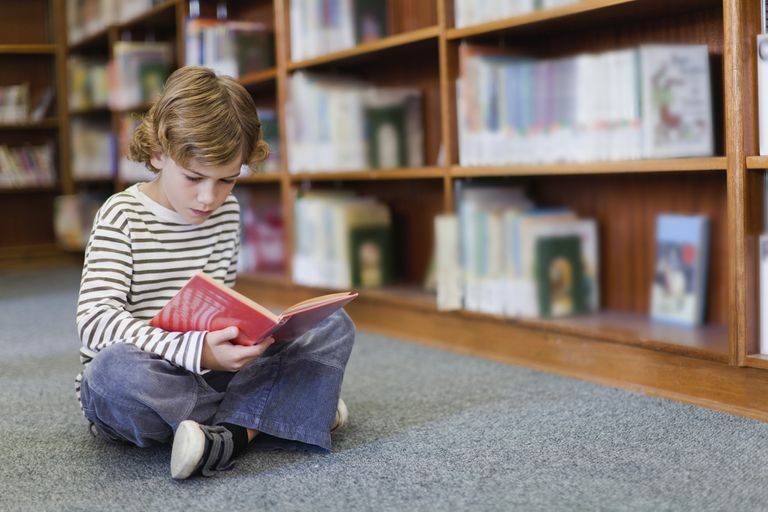 Because children with ADHD have deficits in these areas, reading can be difficult. Luckily there are strategies these students can use to improve their literacy skills. Have a kid with ADHD who's struggling to read well? Try giving such children books about subjects that actually interest them. If a student likes trains, for instance, have the child read a book about the topic. Giving children books about topics they enjoy can help them do a better job of recalling what they've read. During the process, teach the student a variety of literacy strategies, including how to become an active reader. Students with ADHD will have an easier time maintaining attention on reading passages that are exciting, stimulating, and of shorter length. Minimize outside distractions during reading time. Some students do better reading in quiet places, while others prefer white noise, such as background sounds or music, while reading. Allow the student to read in chunks of time, taking breaks to move around and refocus. Teach students how to use a bookmark to keep their place on the page. Slide the bookmark down the page one line at a time. When reading longer passages, help students break down reading material into shorter segments so it is not as overwhelming. Teach active reading strategies like underlining and note-taking. Provide students with both regular and colored pencils, colored pens and highlighters, and post-it-notes. Use various colors for highlighting important points or passages. Use pencils or markers to underline, star, circle, etc. (If the student is not able to write in the book, one option is for the parent to purchase a second copy of the book so that the student can highlight key information. Another option is to provide a photocopy of the material.) Use post-it-notes to jot down points to remember. Walk the student through this process, explaining and modeling strategies, highlighting important points together. Continue to provide this guided practice to help the student develop competence with this “active reading” skill and others. Preview content with the student. Summarize key points of the material to be read in the same sequence as it appears in the passage. Provide general information about the topic area, setting, characters, conflicts in the story, etc. Before the student begins reading a passage, walk him through several previewing techniques by reviewing the title of the reading selection, headings, illustrations, bolded or italicized sentences, sidebars, and chapter questions. Talk about how the reading material is organized. Teach students how to find introductory paragraphs and summary paragraphs. Use story maps to help students identify and organize the main components of the reading material. Review and provide definitions for any new vocabulary that will be found in the reading sections. Teach the student how to subvocalize when reading. In contrast to silent reading, subvocalizing means saying the words you're reading aloud but very softly. Others should not be able to hear the student reading. Reading aloud is a good strategy to help with comprehension, but for some students, it slows down the reading process and can be frustrating. On the other hand, silent reading can be hard for kids with attention issues. The auditory input they receive from subvocalizing often helps these students focus on the text. Teach students techniques to monitor how well they understand what they're reading. Practice paraphrasing and summarizing paragraphs, asking questions about material while reading, making predictions about what may happen next, and rereading for better clarity. The teacher can model this skill by reading aloud to students and stopping at various points in the text to comment on the mental processes related to reading comprehension. When students read material they may benefit from using a tape recorder to summarize these processes with guided help from the teacher. Another idea is for the teacher to help the student underline key ideas. Have the student read the highlighted points into the tape recorder, replay, and then talk about those ideas. Some students benefit from visualizing material, illustrating points, making diagrams and pictures to increase recall and comprehension of the main elements in a passage. Allow the student extended time for reading. Many students with ADHD who have weaknesses in working memory and a slower speed of processing information benefit from additional time to read and comprehend material. This extended time gives the student ample opportunity to effectively process the material. With more time, they can look back to clarify any confusion and reread the text for better understanding.